Exoticism has an enchanting affect. 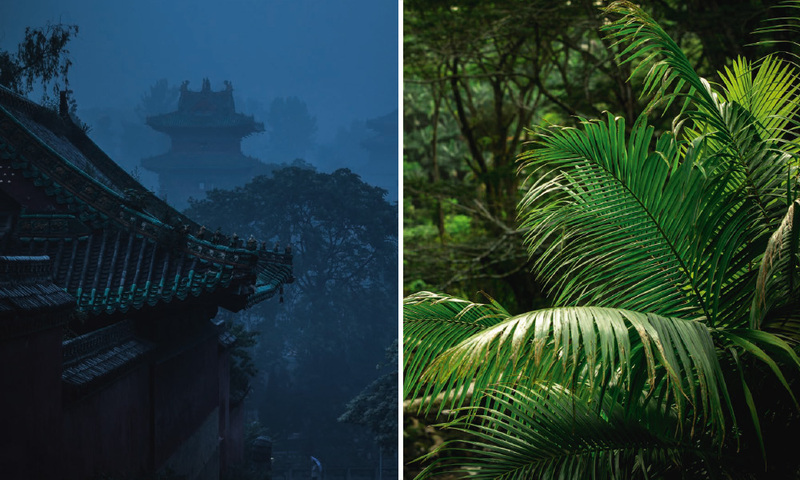 Wild animals, tropical flowers and indigenous cultures have intrigued us for centuries. We want to know everything about them and ideally get to see them in real life. With the Curiosa collection by Arte, there is no need to leave home to set off on a voyage of discovery. Curiosities are more popular than ever. More and more people are making their homes a mini museum packed with curiosities, special souvenirs and vintage posters. 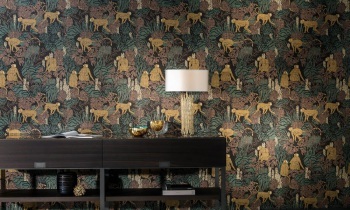 Arte has been inspired by exotic trinkets, animals and natural features, so you can go on a discovery adventure in your own home. 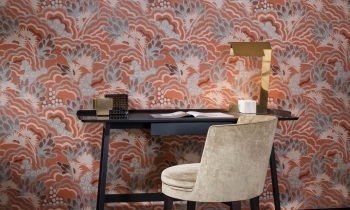 Japanese displayLotus, an ode to chinoiserie, takes you on a tour through Japan. This tableau of nature presents birds of paradise, peacocks and lilies. Luxurious plumageThe feathers from a peacock's tail have a hypnotising beauty. 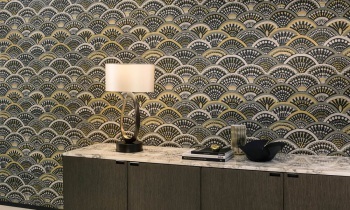 In Peacock, they are the source of inspiration for a geometrical pattern in a creative colour combination. Botanic dreamsGrove possesses an opulent green and continues the tropical trend. A botanical garden has never been so accessible. 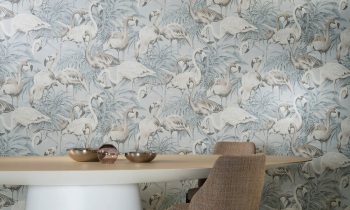 FlamingosThese stylish flamingos will be familiar from the Avalon collection. These really grab your attention and make you think of clear, blue lagoons and exotic beaches. 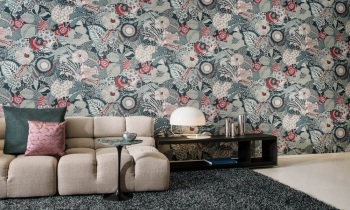 Floral modernityThe flower print of Delight seems to be embroidered and this gives it a vintage look. Floral is a feast for your eyes. Animal magicMonkey see, monkey do! The playful little monkeys of Langur can amuse themselves on your walls without making a mess. 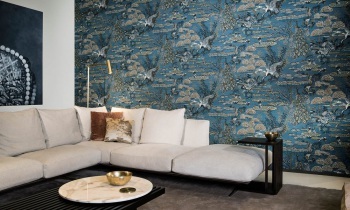 Eccentric floral splendourEuphoria is made up of flowers and birds in a distinct style. The colourful mix builds up into an eccentric entity. ParadiseParrots look beautiful in their natural surroundings, where their colours can really be shown off to the best effect. 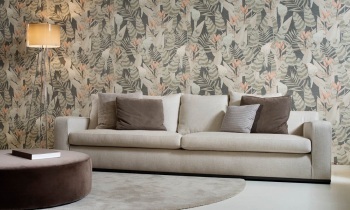 The birds of paradise flowers in Arcadia provide the perfect finishing touch. PicturesqueThe picturesque portrait of the Japanese countryside in Scenery seems to be drawn from a history book. Fine architecture, the babbling brook and the different characters combine to create an extremely detailed all-encompassing image that you can spend hours looking at. The drawings have been printed on three different backgrounds. 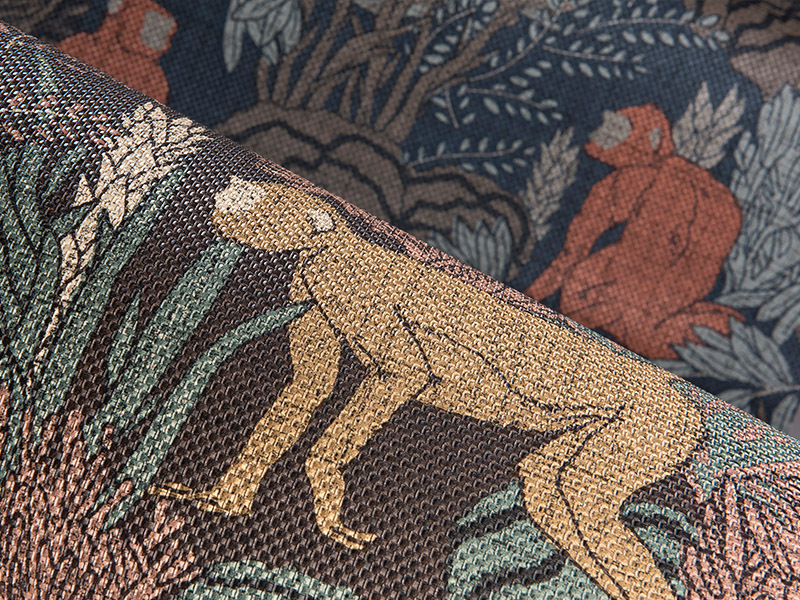 Lotus, Peacock, Grove and Flamingo are given the look of woven grass, whereas Delight and Langur have the structure of textiles. 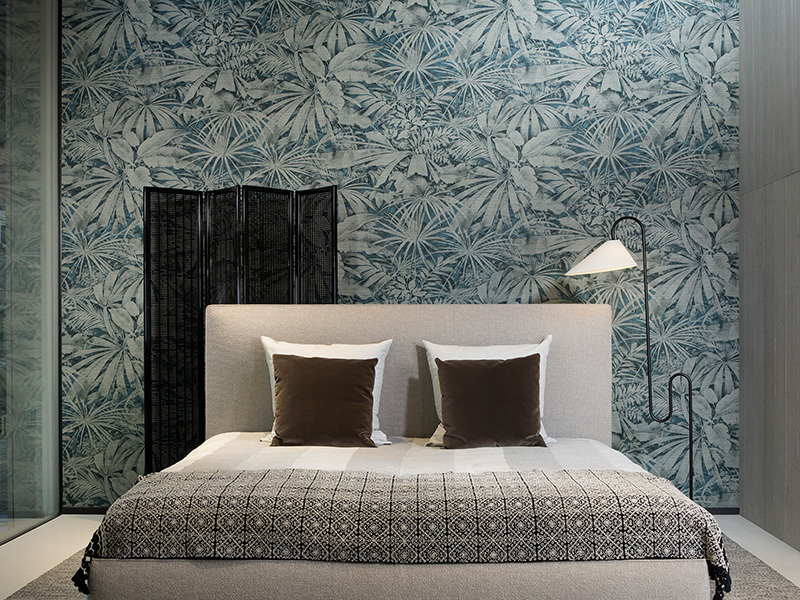 Euphoria, Arcadia and Scenery have then been printed on a soft linen structure. 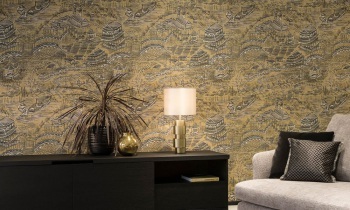 These three backgrounds are also available as a plain, without any patterns: Marsh, with the look of woven grass, Puro, with a textile structure, and Canvas, with a subtle linen structure. All of these fit in perfectly with the patterns of the same background.